From what I can tell, these are made from Icebreakers' 150 Merino wool. They're thinner than any of my other wool leggings, but they feel great night after night, and while cycling through the mountains in early autumn. Slightly scratchier than SmartWool, 33Degrees, etc. I purchased both a small and medium of these leggings recently, and ended up sticking with the medium (29-inch waist, 35-inch inseam). 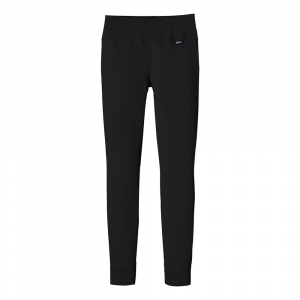 I've been a huge proponent of Merino wool for years, and have worn my SmartWool women's medium black leggings every day for months at a time over the last 5 years. I now own 5 pairs of merino wool leggings and tights (these two plus an even softer, thicker version by 33 Degrees and a cable-knit tights version from a boutique which fit too tightly and don't offer the advantages of footless leggings) and find them comfortable either by themselves or under slacks, jeans, a skirt, or dress in any part of the year that gets below 50 degrees F.
I just finished a 4-day bicycle tour in the Colorado mountains and the RedRam leggings performed marvelously in conjunction with my other wool base and mid layers. 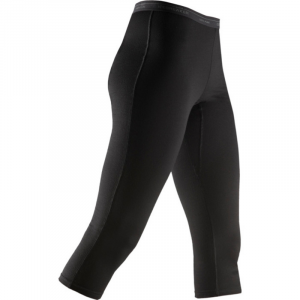 They're thin enough for regulating below-the-waist temperature during constant motion, i.e. pedaling up and down mountains, and help as a base layer for cold nights of camping, but at that point require thicker outside layers. 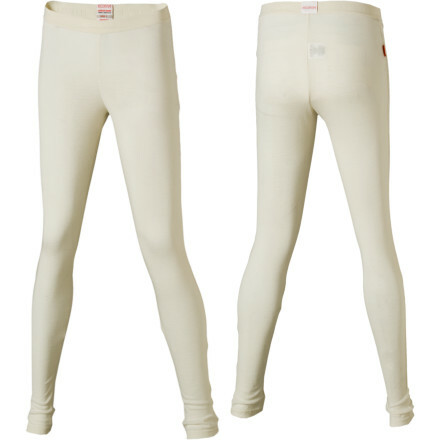 The RedRam Merino Legging is not available from the stores we monitor. It was last seen April 29, 2014	at Sierra.